Hey all, I am writing another Japan post but this time is my haul post. I will write few of my haul from Japan. I'm still struggling editing photos of my Day 1 Japan Trip haha. Not even started it yet too. Recently feeling not so well, having migraine and sprain my neck while sleeping as well. I gonna write this post short and back to bed soon. I'm not sure if you guys heard about Tokyo Banana from Japan. It was quite a famous snack in Tokyo. Although I find in Tokyo not many people buy this but when you come travel in Japan, its just hard to resist not buying this home. 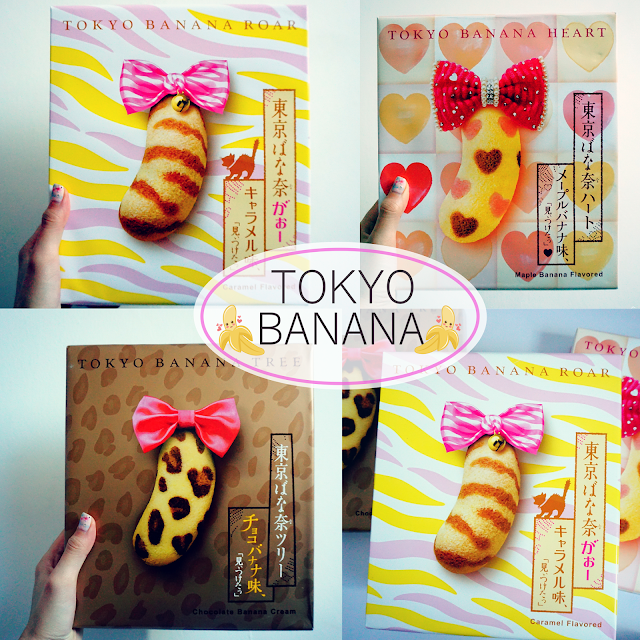 Guess what I bought all the different taste of Tokyo Banana but I didn't manage to get the Original flavor. 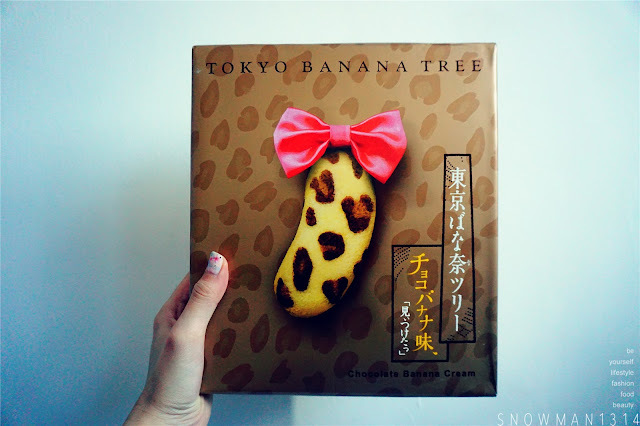 Tokyo Banana Tree - Not sure why its naming the tree behind but this I bought from the Asasuka Sky Tree I guess that's how the name come from. Tokyo Banana Heart - Super super cute packaging which I fall in love into. 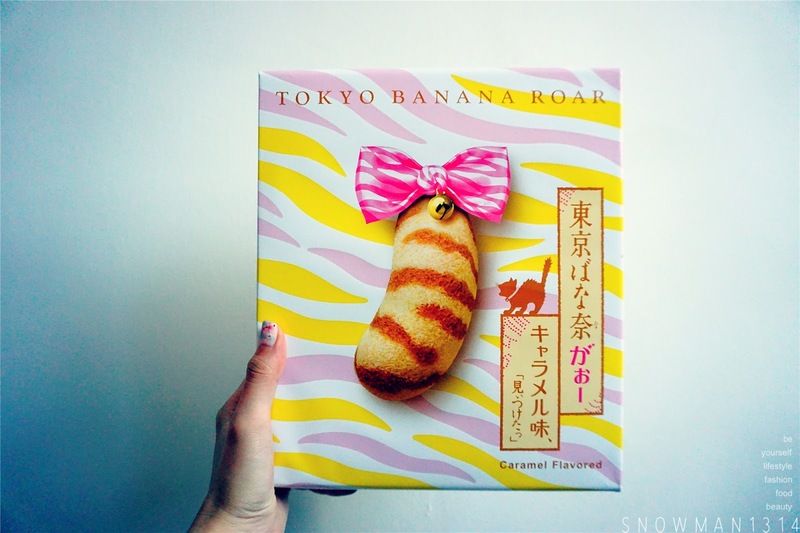 I been hearing about Tokyo Banana in KL but never really try how's the taste really like. So when I first travel to Japan, I can't help myself buying it home. End up I got all 3 different flavors and I didn't even know that it comes with different packaging, different flavor and different design. This is so hard for me to choose not to buy hahaha. 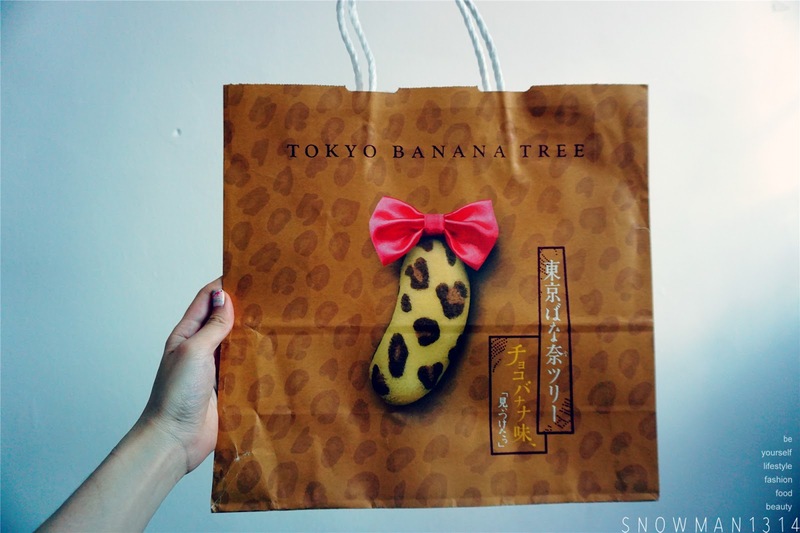 The first Tokyo Banana that I got is the Tokyo Banana Tree at the shop below Asasuka Sky Tree. I love the packaging inside comes with the cute ribbon design. 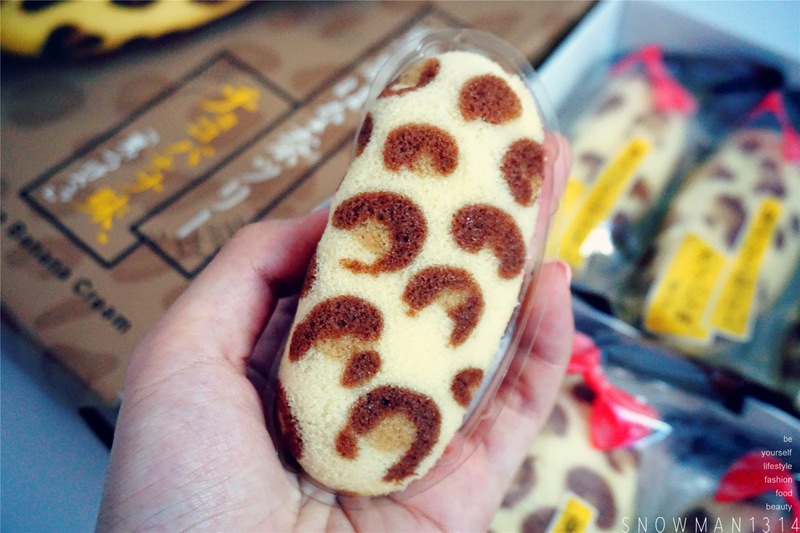 It comes in Leopard pattern design and I find it super cute. 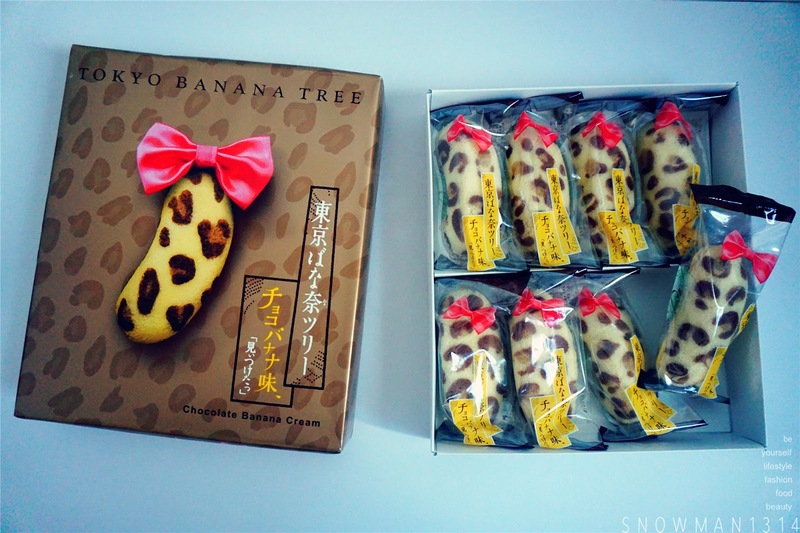 The flavor of this Tokyo Banana Tree is Chocolate + Banana Custard Cream. The taste is not that sweet but just give the right amount of chocolatey taste. Can't really taste out the banana, but I just love the creamy texture with you can let it melt inside your mouth when you eat. Right is the outer packaging; Left is the inner box packaging for the Tokyo Banana. Tokyo Banana Roar that I got it from Shinjuku Station. Can't recall where the exact shop because the station is super huge and crowded. I love the Cat Neck Collar with the Bell design on the Tokyo Banana. Even the inside packaging have the same ribbon design as well. 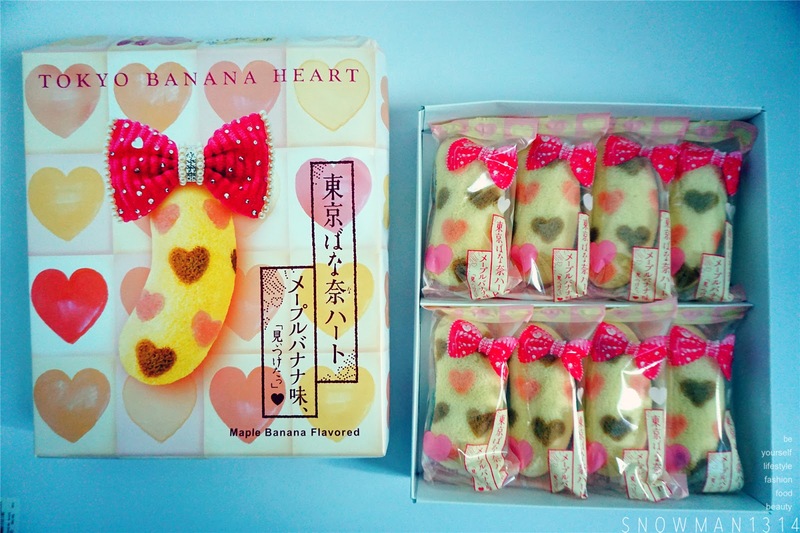 Seriously I can say that I am a real sucker for packaging that is so cute!! 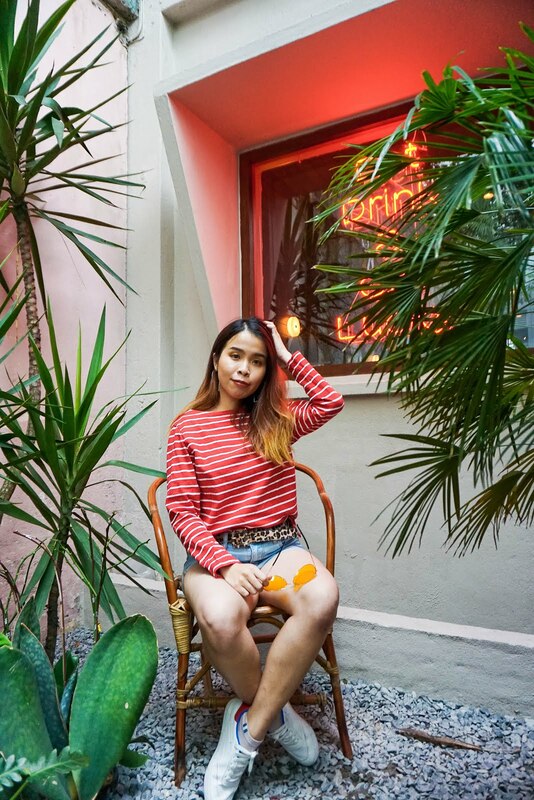 The pattern is something like Zebra Line but comes in really colorful design. Did it looks like the Cat tail as well. 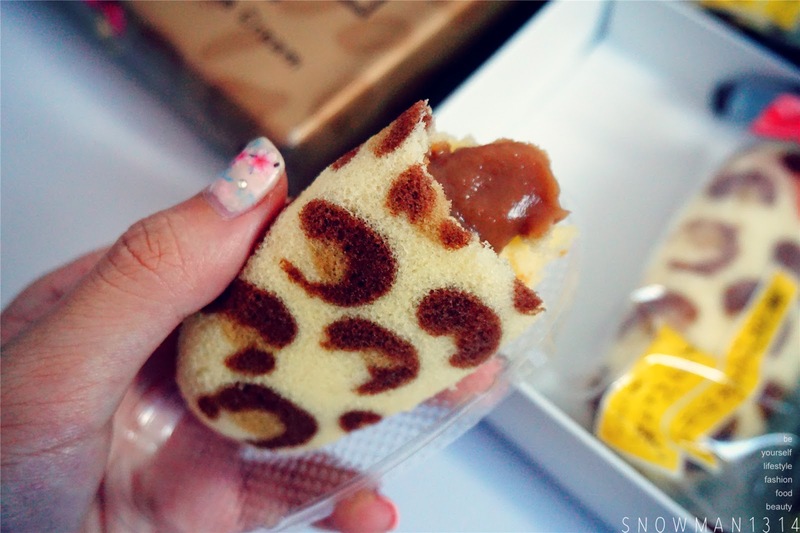 This is the Caramel + Banana Custard Creamflavor which turns out is both our FAVORITE taste of all! When you eat it you can just taste the aroma caramel inside your mouth. 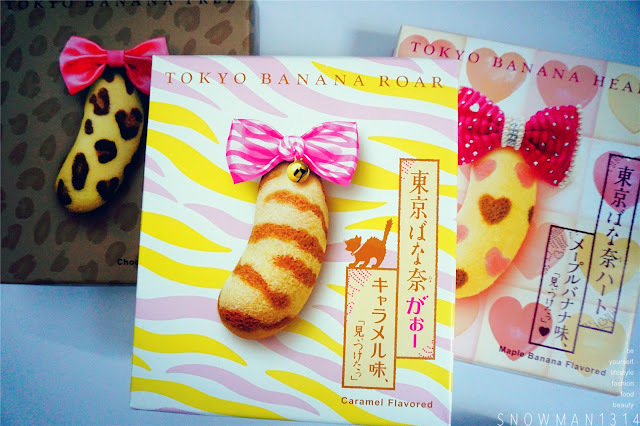 Super yummy I can say, if you are a caramel lover or if you are the first timer for Tokyo Banana, I would love to recommend this Caramel Flavor of Tokyo Banana. The last one and the cutest one I have bought! 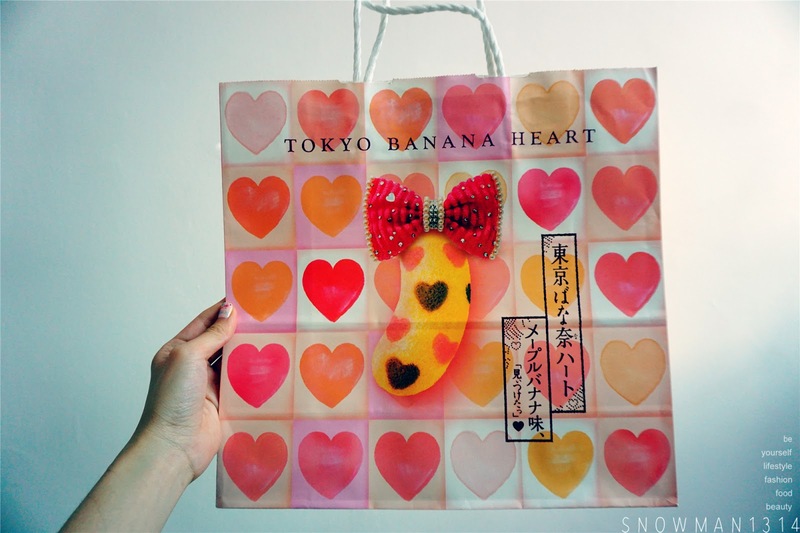 Tokyo Banana Heart from shop below Asakusa Tokyo Sky Tree. 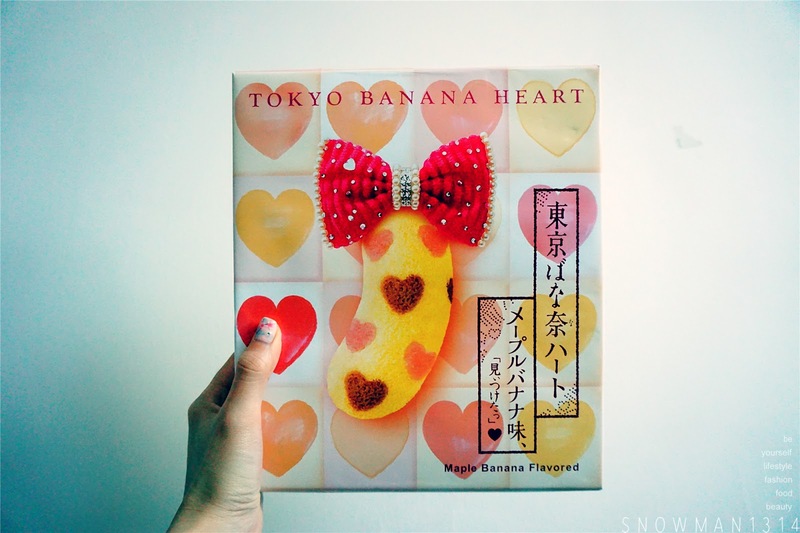 When I see the heart shape of the Tokyo Banana, can't scream over its cuteness and decided to buy it home during the first day of my Trip. See how cute all the 8 pieces of heart shape Tokyo Banana Heart in the packaging. I always amaze on how Japan could be so innovative with their product packaging and design. They did everything so pretty and cute! 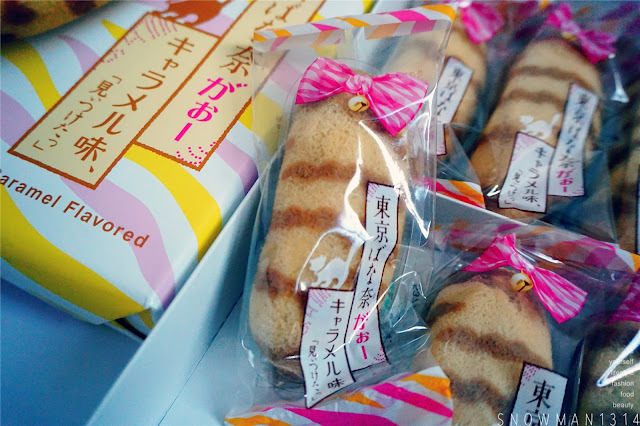 This flavored comes in Mapled and Banana Custard cream Flavor which I find it quite interesting taste to try. I'm not sure hows Maple flavored should taste like. 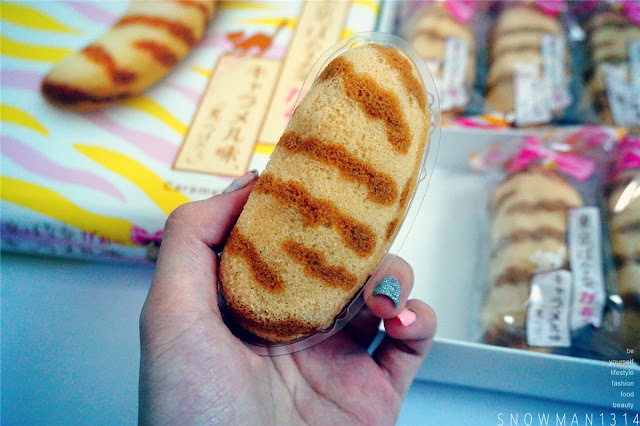 But this is something new to try, I like all the creamy texture when I eat it. It just melts inside your mouth, find it quite yums to eat it! 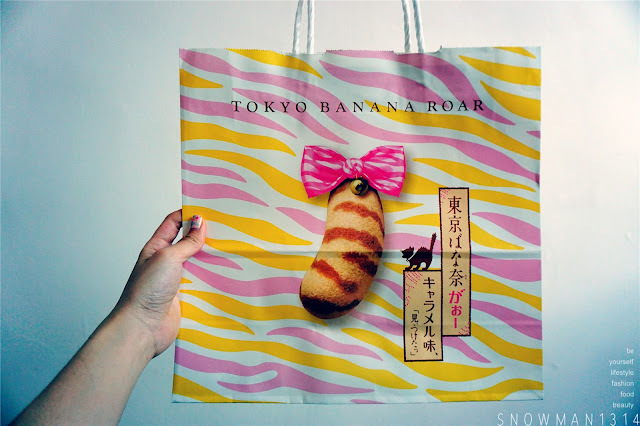 Even the packaging bag is so cute! I keep all of their packaging nicely now at my house. 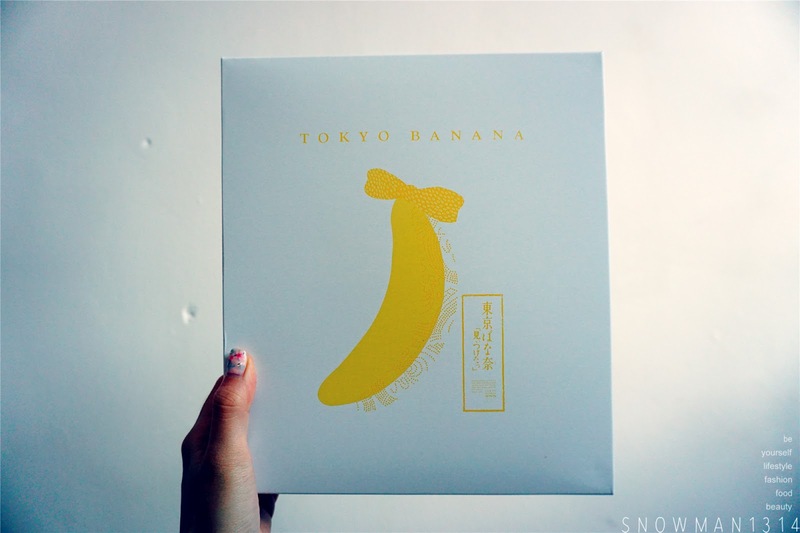 All the box packaging design comes in really plain white box with Tokyo Banana and Banana design on it. That's is why the outer packaging they put more effort on designing for each different flavored. 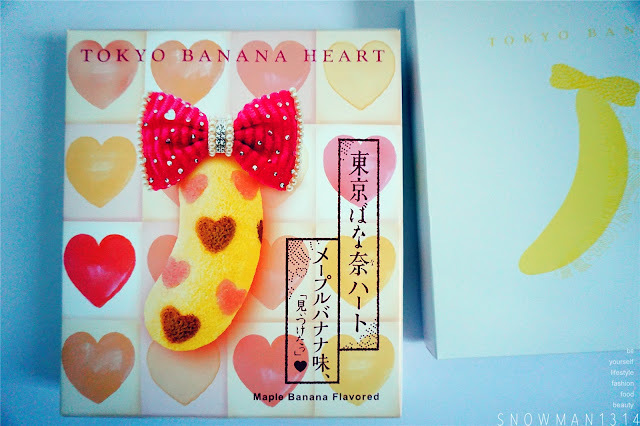 Overall I would say the taste for Tokyo Banana is quite acceptable. Don't worry since it was the first time I taste on Tokyo Banana that is why I bought so many different taste to try. But still I need to try their original taste to see how its taste like. 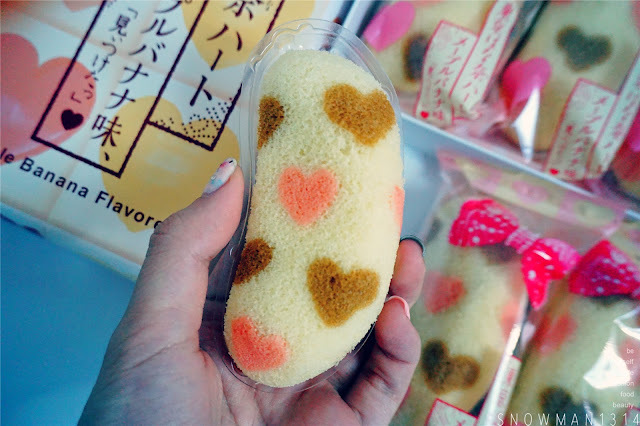 Still I would say all their packaging is really cute right! 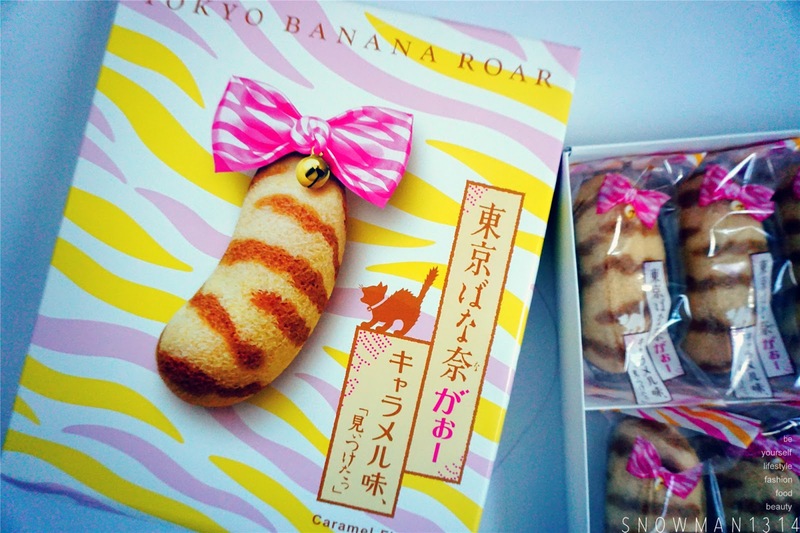 My favorite will be the Caramel flavored with the Cute Cat icon Packaging. I find Maple flavored was quite unique and interesting. Chocolate flavored is quite normal but I bought it because I am a Chocolate lover to see how well the chocolate taste like. 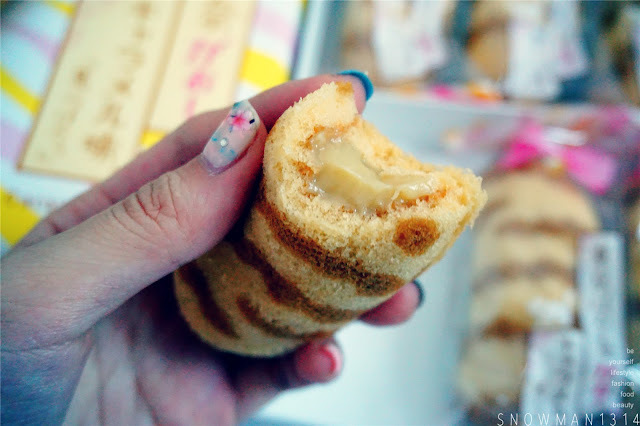 The flavor mix up with the Banana Custard cream was really creamy. Slight Banana taste but it just the sweetness of it I guess not that strong taste. 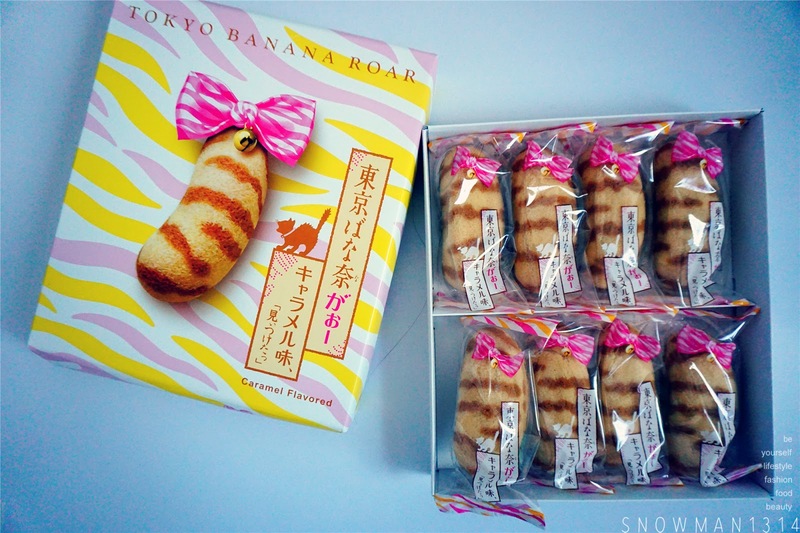 The price will be slight different because of the different flavored of the Tokyo Banana that you buy. This is just for references. 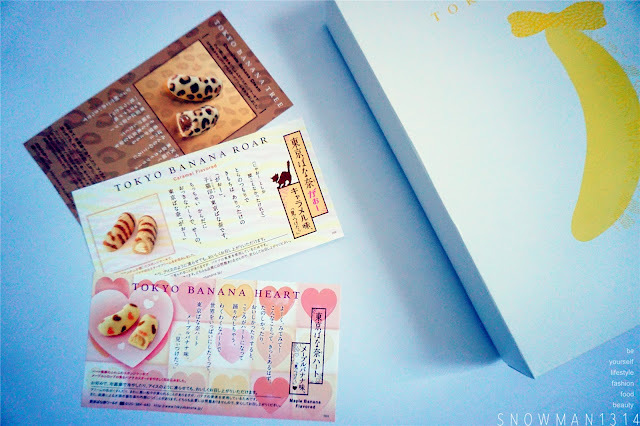 Stores Locator for Tokyo Banana. Yeah! It was =D Glad you tasted it! The bananas are one of the most adorable thing I have ever seen. 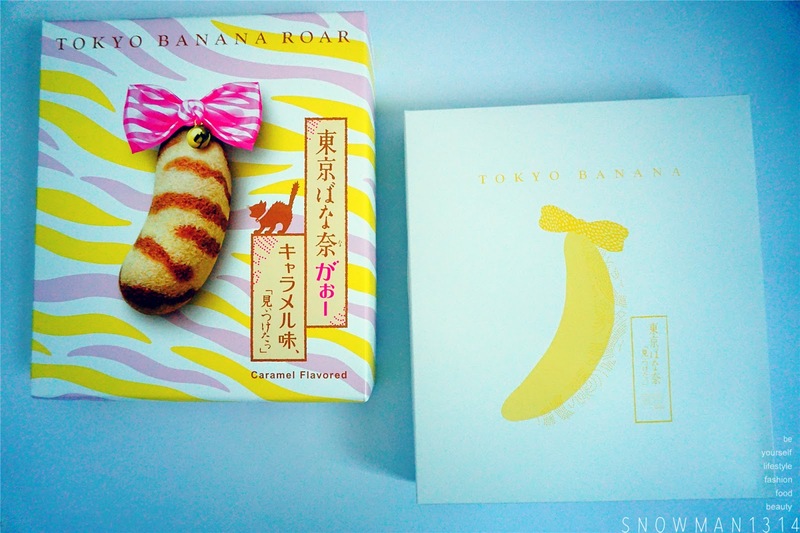 This Tokyo Banana look delicious and I like their packaging. So creative! Oh no! You didn't get to try the original flavour. I actually like the original flavour most hehe. But the ones you got are really cute dear! Especially the love printed ones haha. The packaging looks so nice ! My sister have bought me the chocolate banana flavour and it look different with what i'm thinking as I thought the tokyo banana is very big but the size is small and cute ..haha..anyway, i will try another flavour when i visit Japan.. Yes it comes in super cute and small design XD I wanted to next time! My favorite was the Heart print too! IKR this was super cute to resist! you make me so jealous lei my dear. it's so cute and make me wanna buy many of em for my nieces. 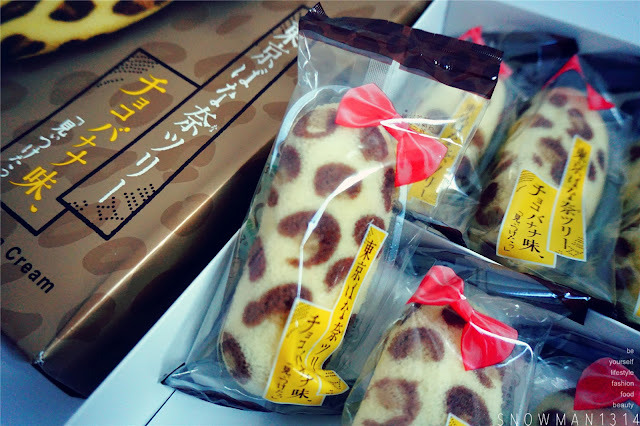 Tokyo Banana is one of my favorite delicacies. Didn't know that it comes in such cute prints also. I think they taste awesome! When I saw you post in the Facebook, I wondering what is this. Never know this is a cake. 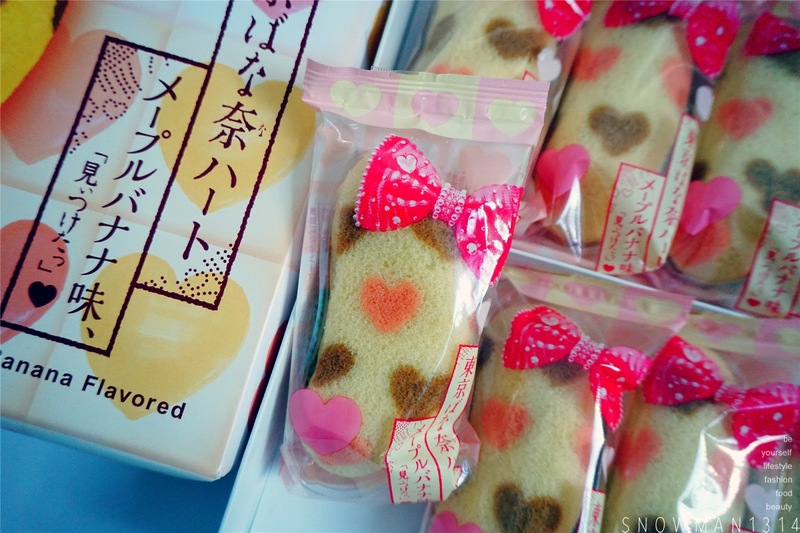 So cute the packaging. OMG you are making me missing Japan again. 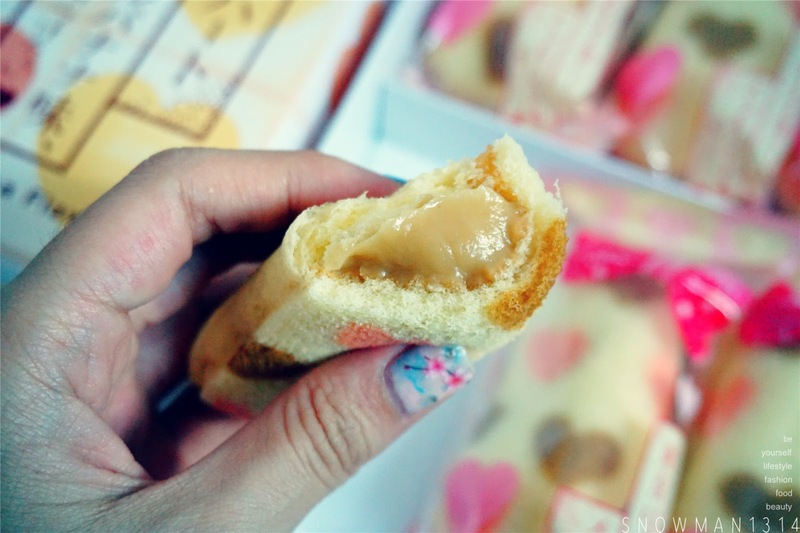 I still like the original one but the Chocolate + Banana Custard Cream is worth to try also. Love the presentation and it makes me feel like Christmas is coming with that bell shape. You are right! Super Christmasy feel right! Yes it was super cute right it was hard to resist when I see it too!!! hey i tried it before too!.. a friend bought from japan. awesome stuff. hahahaha! I missing now too! Not really for me. Since I am a sweet tooth person hehe!